Prepare to be scared! The nights are officially drawing in and it’s coming up to that fateful day when ghosts and ghouls walk the earth. Yes, we’re talking about Halloween – the spookiest day of the year and where better to celebrate it than at one of the world’s spookiest destinations? We’ve compiled a list of places that you should visit this Halloween that are sure to send shivers down your spine. The only question is: will visiting them be a trick or a treat? 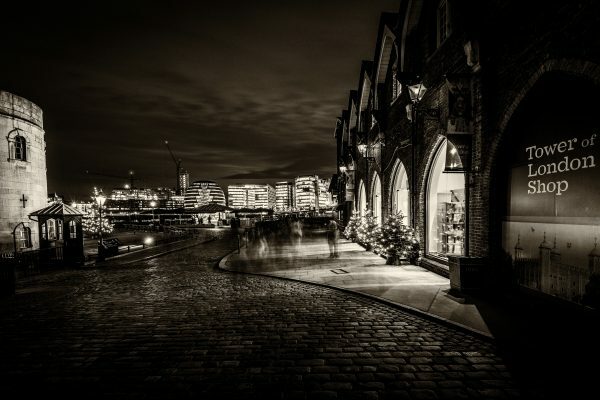 London is one of the oldest cities in the world, so it’s fair to assume that there are a few spirits roaming its streets and you can try to seek them out while on a ghost walk. Discover ghosts of the West End by joining a tour from Embankment Station or learn about the ghouls of the East End on the Jack the Ripper Ghost Walk. If walking sounds like too much hard work, you can even join a Ghost Bus Tour around the city but expect a few frights from the on-board actors! 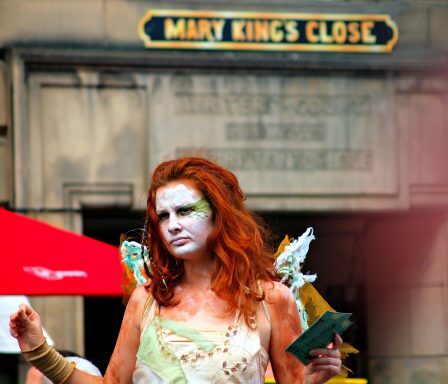 Mary King’s Close is one of the spookiest places you’ll ever visit. The buildings situated underneath the old town in Edinburgh were the heart of city life in the 1600s, until the city council decided to build the Royal Exchange building on top of them – using the existing houses as foundations. Now several myths and legends abound about the area with blood-curdling tales of ghosts, murders and plague victims being walled up and left to die. Mary King’s Close is hugely atmospheric and those who wish to find out more about Edinburgh’s spooks should consider visiting the Edinburgh Dungeon too. Ghosts aren’t the only things that go bump in the night. If you travel to Prague, you might find yourself face to face with the golem. Legend has it that during the 1500s, Rabbi Judah Loew ben Bezalel took mud from the banks of the Vltava river and created a man. The golem was made with a purpose: to defend the Jewish people of Prague from a wave of anti-Semitic attacks. The Rabbi neglected to release the golem from servitude on the Sabbath and the mild-mannered man turned into Prague’s most infamous monster. Although the golem was successfully deactivated by the Rabbi he was later locked away in the attic of the synagogue, where it is said he still remains. Visitors may not be able to see the golem for themselves, but you can visit the grave of Rabbi Judah Loew ben Bezalel at the Old Jewish Cemetery. 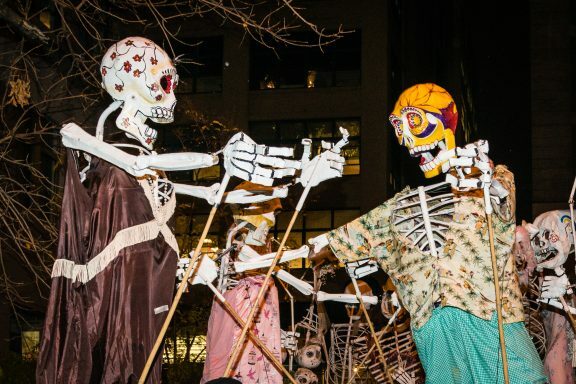 You should definitely experience Halloween in America at least once in your life. The country really goes all out for the occasion and New York is no exception. Perhaps the city’s most famous event is the annual Halloween parade that takes place in the Village – anyone can turn up and walk it and this year’s theme is reverie so expect plenty of carnival masks and clowns. It’s also worth escaping the city for a day and catching the train to Tarrytown, which lies 30 miles to the north of Manhattan and is the gateway to Sleepy Hollow. The town is, of course, the infamous setting of Washington Irving’s story, The Legend of Sleepy Hollow, and the film of the same name. During Halloween it really comes to life with haunted hayrides, cemetery tours and the Horseman’s Hollow, which sees witches, vampires and the undead all walking alongside the headless horseman. It’s not one for the easily scared, so keep your head about you! Although famously known as the City of Light, Paris definitely has a darker side and it’s located some 10 feet underneath the city streets. 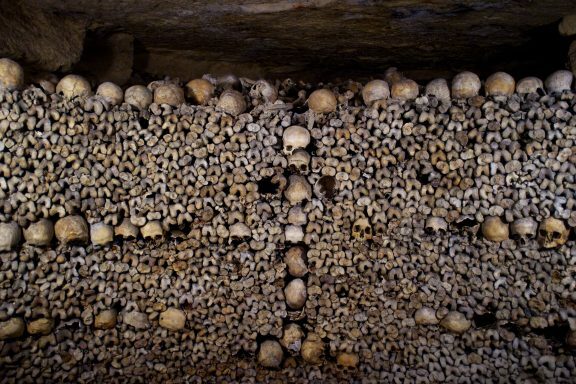 Here, in the Paris Catacombs, the bones of six million former Parisians lie on display in a 200-mile network of caves, catacombs and quarries. Only part of the spooky attraction is open to the public and as visitor numbers are restricted, it’s advisable to turn up early. What are your plans for Halloween? Share them with us in the comments below or let us know via Facebook. Images by Davide D’Amico, Zoetnet, John St John and Tobias F Wolf via flickr.